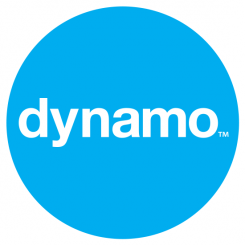 Hello everyone, I’m Aimee and the newest Junior Account Executive for the Dynamo US office. I wanted to take the time to share my journey to PR and Dynamo! During my senior year of high school, I spent my time applying as a Pre-Law major. I chose to attend Purdue University in West Lafayette, Indiana; however, I changed my major from Pre-Law to Elementary Education as I had externship during my last semester of senior year teaching at an elementary school. After two years of attending Purdue, I spent nine months in South Korea teaching English and SAT Writing. I decided teaching was not for me and wanted to pursue a career in law again. I knew that law school was very expensive and decided to join the U.S. Army, so they can pay for law school once my contract was complete. I joined as a Paralegal Specialist so that I would be able to work in the field of law. After four years of active duty and speaking with my mentors, I realized that my values and personality did not necessarily fit being a lawyer. Family time is extremely important to me and working in an 80+ hours job was not something that seemed fulfilling nor appealing to me. My mentor asked me if I had thought about another job other than being a lawyer. As I replied with working in PR, she got excited and responded with, “That would be a perfect job for you”. In June of 2014, my contract finished and I moved to San Francisco where I attended City College of San Francisco before I could transfer to a four-year university to major in Public Relations or Communications. After one year of attending CCSF, I applied to The Art Institute of California-San Francisco, since they had an Advertising major. I really liked their academic program as they were more hands-on and could give me more of a real-world experience. In 2016, I started looking for PR internships to start my career track and development. In February of 2016, I was hired as a PR intern by Big Picture PR, a consumer and fashion boutique agency. I was promoted to their Social Media Specialist and Business Development Associate in May of 2016. I was also hired as a PR Coordinator by Smitten Communications, a consumer tech agency in May of 2016. In December of 2016, I applied to Dynamo PR after hearing about the agency from Big Picture PR. I was super eager and anxious about getting the job as everything I heard during the interview intrigued me. Since working at Dynamo, I feel that I am in the right path towards my PR career and development. I am absolutely enjoying the experiences I am having and learning along the way. I wrote my first press release here and got Hermione Granger’s wand because of it!! I am eager to see what the future and Dynamo has in store for me!